How to Make Lifetime Commissions | Yenom Marketing Inc.
Did you know there are actually 4 types of residual commissions? 1. Automatic recurring commissions – these are likely the ones you’re most familiar with. You promote a membership program and you get paid monthly for as long as that customer retains the membership you sold. 2. Cookie commissions – when you sell a product, a cookie is placed on that customer’s computer. Then anything else that customer purchases from the seller is linked to you, and you get a commission. But if the cookie is deleted, or if the customer changes computers, then you will no longer receive commissions on their purchases. 3. Lifetime commissions – this works like a cookie commission, only instead of a cookie the product seller uses the customers email address to track sales. Thus, as long as the email address remains the same, you can receive commissions on all sales from this customer for years. 4. Second tier commissions – this is when you refer other affiliates to the merchant. Sort of like a multi-level program, you get a small commission for the sales your referral affiliate makes. 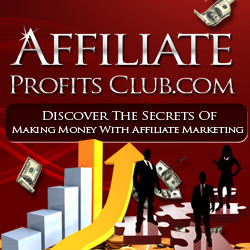 Now then: If you make a traditional affiliate sale, you get paid and that’s it. If you make an monthly membership type of sale, you get paid until the customer cancels which means you usually get paid for several months. Not bad. But if you promote products with either cookie or lifetime commissions, you can get paid for years on anything else they buy from that vendor in addition to the original sale. Imagine a product seller with a fleet of 30 or 40 products. You promote just one of their products, and 20 of your customers buy that product. Now over the course of the next few months and years, this product seller promotes other products to these 20 customers, resulting in a further 80 sales over time. Normally you wouldn’t make a dime on these sales, but in this case, you make the full commission on each and every one. So next month you get unexpected commissions, and the month after that, and five years from now, too. And it’s all because you promoted products with lifetime referrals or cookies. So where can you find these products? One method is simply to keep your eyes peeled. Not all selling platforms allow for lifetime referrals, so by looking at those that do, you can find the product sellers who will pay you for every product they sell to your customers, not just the ones you promote. Start with Amember, Zaxaa, Infusionsoft and Nanacast – they all allow for lifetime commissions. Next, use a search directory, such as http://www.affiliatescout.com/ . When doing your search, choose “lifetime commissions” under “features” without any other search parameters and you’ll find nearly twelve hundred results. Go back and narrow your parameters to find the exact programs your audience might be interested in. Most of all, anytime someone asks you to be their affiliate, ASK if they pay lifetime commissions. Sometimes they’ll have two programs, one in which they only pay commissions on the first product sold, and a second, secret program they reserve for their heavy hitter affiliates in which they do pay lifetime commissions. It never hurts to ask. Bottom line: If you can make recurring or even lifetime commissions from your promotional efforts, why not go for it? You do the work once, and you get paid over and over again. You can’t beat that.